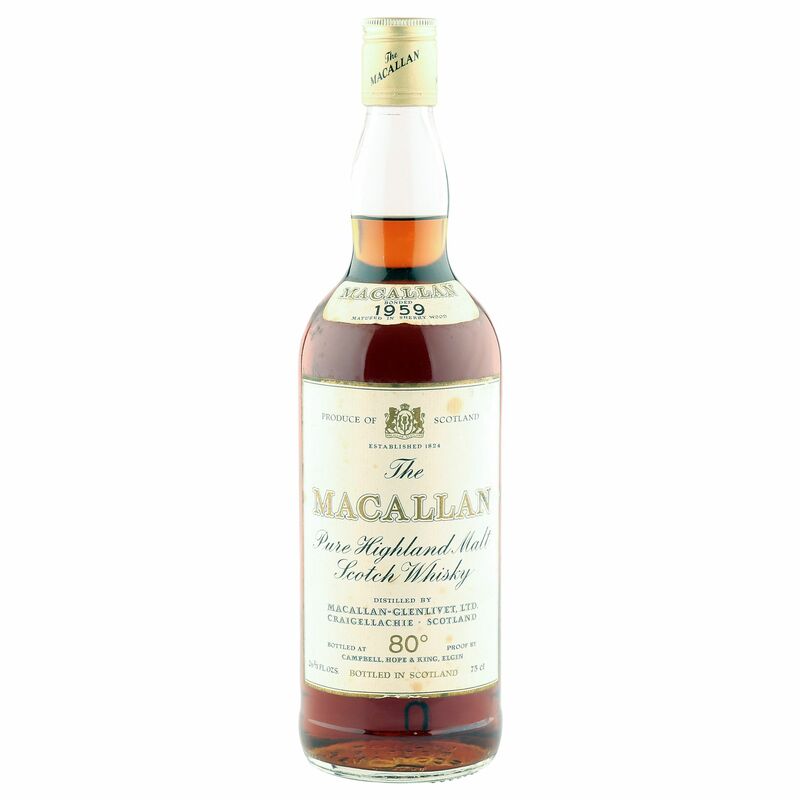 This incredibly rare vintage Macallan was distilled in 1959 and bottled at 80 proof and 26 2/3 Fluid Ounces in the 1970's. Bottled for the UK market by one of the distillers' official bottlers in the sixties and seventies, Campbell, Hope & King of Elgin, this heavily sherried beast is hugely collectible and will appeal to the connoisseurs out there. Generally in great condition, with a fill level well into the neck, though there are a few minor age spots on the label - which can be seen on the image inset.